Erez Has been a Professional FreeDiver for many years. He has held the world record for “Unassisted FreeDiving”, can freedive to depths of over 70m and can hold his breath for over 8 Minutes! To do that Erez had to develop strategies for maintaining focus while under immense pressure. Discover a method to strengthen your self image as a winner Benefits: Discover what drives you and your team. Master your own mind to enhance productivity and efficiency. Pinpoint your limiting factors and find ways to overcome them. Discover how a small change in perception can generate a huge shift in results. In this talk, erez will share insights into achievement. He will describe his path from the conception of breaking a world record to actually achieving it within 8 months! Erez He will walk you through the different performance limiting factors and will provide ways to turn them into strengths. The three Performance limiting factors Developing a good self image Setting goals- the right way By the end of the talk the participants will learn to observe their strengths and weaknesses and develop a strategy that will lead them into becoming more balanced and focused. Inhale – Exhale Personalised breath training for Executives. This Hands-on training will teach you how to maximise your potential by enhancing your breathing. Improve creativity, focus and speed by utilising proven techniques. One on One time to pinpoint and eliminate breathing flaws that are limiting your potential. The full breath – Explore the three stages of the breath. Kumbhaka – Not just a word. Free your breath, power and unlimited energy to succeed This workshop can be complimentary to the other two talks and is aimed at small groups or individual training. Have you ever wondered how can a human being hold his breath for over 8 minutes and experience no brain damage? dive, unassisted, to depths of over 214m on a single breath? 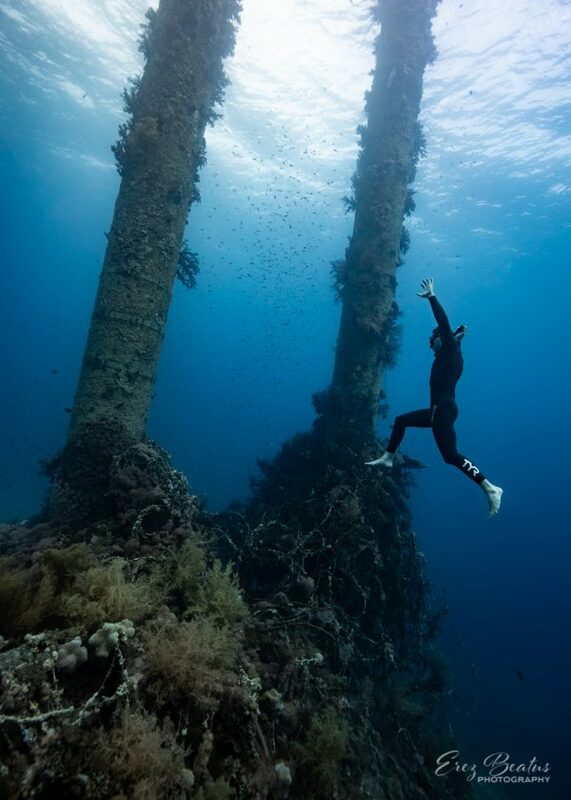 FreeDiving is one of the most unique sports in the world. We are only now beginning to understand the physiological and psychological limits of the human body and with these discoveries new possibilities open. This talk focuses on the history of Freediving -from the Japanese sponge divers through navy divers and all the way to the recent competitive world of Breath hold diving. We will introduce the dive response which allows Freedivers to survive dives of over 100m and how these adaptations were discovered. Through amazing visuals and fascinating stories, Erez will share his path from discovering the sport to breaking the world record in 2001. The participants will learn techniques to increase breathing efficiency and will experiment with breath-hold. Once participants discover they can control their most basic functions – everything is possible. Do you want to create a more productive and harmonious workplace? Benefits: Simple, easy to master, result oriented tools for enhancing productivity by Improving focus, relaxation and breath efficiency. promote relaxed and flexible staff able of providing service / results. Reduce absenteeism due to high moral and energy. Reduce stress levels in the team to increase productivity. In this talk, erez will shed light on the various aspects of breathing and its effect on all the systems in our body, including the way our senses get affected by inefficient breathing. We will introduce performance limiting and performance enhancing mechanisms and will develop strategies that will enable each individual member of the team to perform at his /her peak by streamlining the breathing process. Topics covered: Breathing physiology Breathing as a habit The full breath Maximising your breath potential Breathing for stress management Performance limiting factors / Performance enhancing factors Visualisation techniques for reducing stress and improving Self image. Breathhold training- introduction to the sport of Freediving By the end of the talk the participants will have a much better understanding of their breathing, ways to control stress and practical ways to measure and reduce stress.